What is special about Caldbeck? Wainwright described it as 'a place that hasn't changed'. 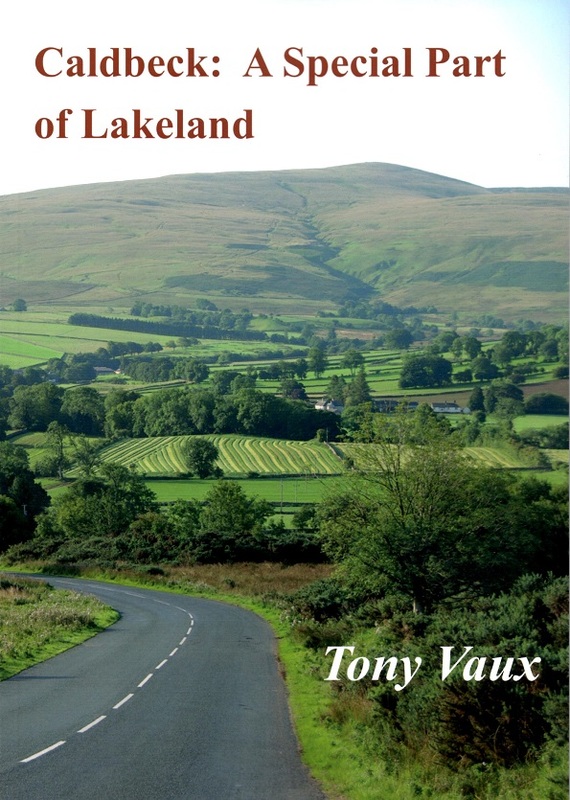 Drawing on local records, the words of Caldbeck people and the evidence of the landscape, Tony Vaux finds out what has changed and what has not. Wainwright thought that Caldbeck was “another world, a place that hasn’t changed”. Tony Vaux sees things differently. “Caldbeck’s history has been turbulent,” he argues. There were centuries when it was near the front line in the Border Wars. In later centuries it became industrialised and then the home of a mining community and at various times it has been a small, but popular tourist destination. However, essentially it has remained the same. These changes have been transitory. Livestock farming has been at the heart of the community on the Northern Fells since pre-historic times. Tony has lived in Caldbeck since 2003. By chance he lives in a farmhouse, Brownrigg, where fourteen generations of a family bearing his surname, Vaux, had farmed the land during the years before 1760. The story of Caldbeck is, in a very particular way, one to which he feels peculiarly attached. That story begins with the geology, with Caldbeck’s position where the rocks Borrowdale Volcanic Series meet the Carboniferous Limestone. They have determined the landscape, its agricultural history, its mining and its industry. An axe factory on the side of Carrock Fell and the stoneworks around its summit suggest something of the life of people in the Stone Age peoples with the area. The Romans might well have exploited the coal and limestone on Warnell Fell, and “in the course of three centuries the Romans are likely to have discovered that silver and lead were available in Roughten Gill”. St Kentigern, “having heard that many people living in the mountains were pagan” travelled in the Northern Fells and may have blessed the well that bears his name. The name of the village itself and many other names in the area are evidence of Norse settlement in the centuries that followed. And a legacy of their way of life is to be seen in the Cumbrian longhouse and in the sturdy fell ponies which are still to be seen grazing the fells. In Norman times the area was surrounded by deer parks, by Inglewood and Allerdale Forests and by lesser parks belonging to the bishop of Carlisle and others. These and the Scottish attacks throughout the succeeding centuries kept the area impoverished until, in the time of Queen Elizabeth the mines began to be exploited on a significant scale. For sixty years the German miners, living in Caldbeck, extracted silver, lead and copper from the coffin-shaped shafts they built into the rock. In the seventeenth century many of the statesmen farmers and others in the area followed the teachings of George Fox and became Quakers. These included a Robert Vaux, who, on his death in 1669, was described as “gentleman, quaker of Brownrigg”. A century or more later, Caldbeck was industrialising. A paper mill opened in 1771, a dyeing mill in 1786, which later expanded to become a large woollen mill known as “The Factory”. A cloth processing mill started in 1800, a brewery in 1810 and a bobbin mill in 1838. In 1857, in The Howk, a bobbin mill, employing sixty people, was powered by one of the largest waterwheels in Britain. And then there was John Peel and hunting on the fells and the vast changes of the nineteenth and twentieth centuries. This well-researched, affectionate portrait of one of Cumbria’s most individual communities, should serve to strengthen that sense of connection between past and present.